Home Seoul CHEF Show - the next generation of BIBAP! CHEF Show - the next generation of BIBAP! Check out this new updated version of the famous BIBAP show! 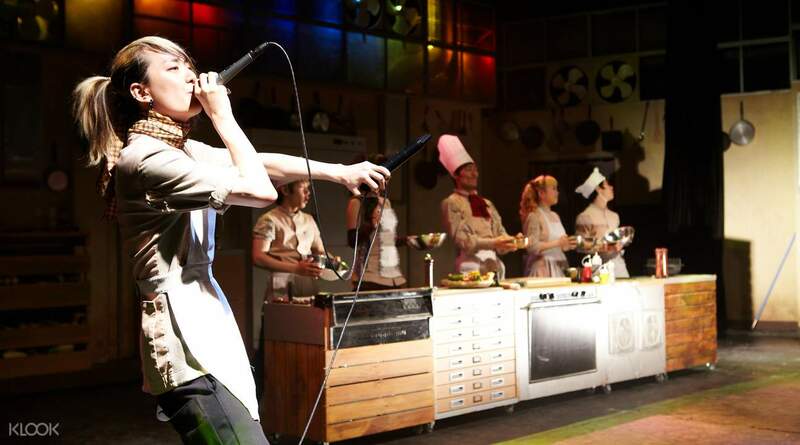 Beatboxing, breakdancing, and bibimbap come together in this non-verbal performance and celebration of chefs in the kitchen! Enjoy the latest update to the famous BIBAP show with CHEF! Choi Cheol Ki’s latest non-verbal performance masterpiece! Join in the fun with plenty of opportunities for audience participation during the 5-part show! Sit back and enjoy the nonverbal show without any worries about language barriers! A good and funny performance. The dancers are great and all performers are professional. My family enjoys the show very much. Get ready for a fun night of beatboxing, b-boying, and bibimbap! The latest update to the popular BIBAP show is here! 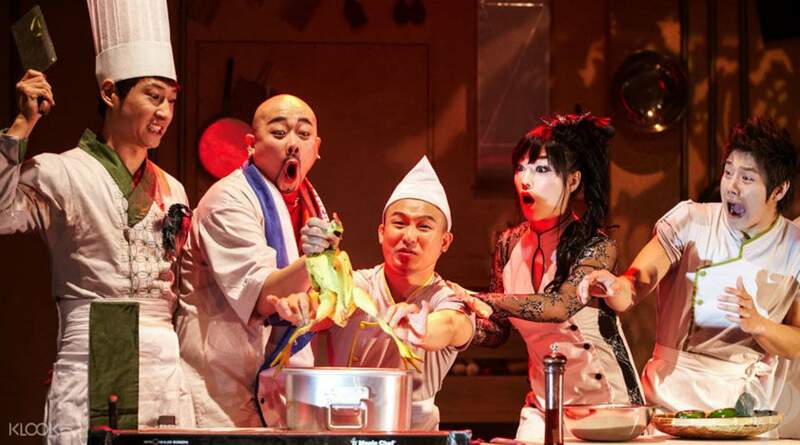 CHEF promises audiences a wonderful journey into the kitchen with a non-verbal performance that anyone can understand! Audience participation is encouraged and there is plenty of comedy throughout the show. There are 5 parts to the show that explore different storylines in the kitchen, all expressed through music and dance! K-Pop fans of all ages will love this show! See the latest update to the popular BIBAP Show with CHEF! Enjoy an evening of beatboxing, b-boying, and bibimbap! A wonderful non-verbal performance that takes you behind the scenes in the kitchen! Watch amazing breakdancing performances during the CHEF show! 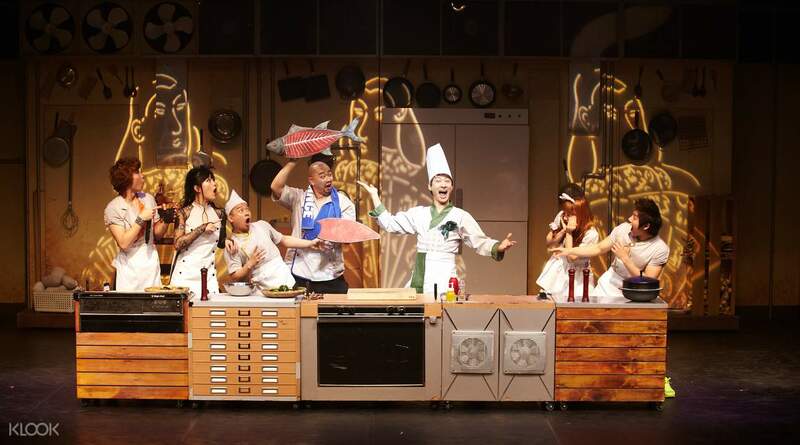 CHEF is the latest production from Choi Cheol Ki and features some of Korea's most talented performers! CHEF BIBAP was awesome. Overall the show was super fun and interactive. We came early as it was cold outside. Cineplex wasnt far from subway station. Easy to find. A must visit show if u come to seoul! CHEF BIBAP was awesome. Overall the show was super fun and interactive. We came early as it was cold outside. Cineplex wasnt far from subway station. Easy to find. A must visit show if u come to seoul! I strongly recommend it to all of you who are going to travel here as it is very easy to use and convenient!! I strongly recommend it to all of you who are going to travel here as it is very easy to use and convenient!! excellent performance from the actors and actresses. a must watch performance when you are in seoul. excellent performance from the actors and actresses. a must watch performance when you are in seoul. It was my 1st time seeing such shows in Seoul despite being here many times for holidays. it was a very entertaining show showing the individual talent of each crew. Such amazing skills! The crew even engaged audience to participate in each segment which was hilarious. Worth seeing the show. It was my 1st time seeing such shows in Seoul despite being here many times for holidays. it was a very entertaining show showing the individual talent of each crew. Such amazing skills! The crew even engaged audience to participate in each segment which was hilarious. Worth seeing the show. Redeem the ticket at the ticket booth which is located in front of the entrance of the building, performance venue is at the basement. We enjoyed the performance a lot. Engaging show with lots of audience participation. Redeem the ticket at the ticket booth which is located in front of the entrance of the building, performance venue is at the basement. We enjoyed the performance a lot. Engaging show with lots of audience participation. The show is very interesting! All the actors have many interratction with audience. They speak English with lots of dancing and singing. It is easy to follow the story. Better to buy in advance. I just bought the tickets 2 days before the show and only manage to buy the 5pm session instead of 8pm one. The show is very interesting! All the actors have many interratction with audience. They speak English with lots of dancing and singing. It is easy to follow the story. Better to buy in advance. I just bought the tickets 2 days before the show and only manage to buy the 5pm session instead of 8pm one. Very interesting and entertaining show! Highly recommended to watch. Similar to Nanta’s concept. Less variety of performances but more bboy dance, hip hop and beatbox. Suitable for all ages. Performance was very engaging and inclusive of the crowd. Very interesting and entertaining show! Highly recommended to watch. Similar to Nanta’s concept. Less variety of performances but more bboy dance, hip hop and beatbox. Suitable for all ages. Performance was very engaging and inclusive of the crowd. The theater is located between Myeongdong and Insadong. From Insadong, I walked to go to the venue, around 500 meters away. The performers were very good and the show was enjoyable. some viewers were called in stage to participate. there was very little words spoken so almost no language barrier. The theater is located between Myeongdong and Insadong. From Insadong, I walked to go to the venue, around 500 meters away. The performers were very good and the show was enjoyable. some viewers were called in stage to participate. there was very little words spoken so almost no language barrier. Very good show ! Entertaining, hilarious and not boring at all ! The show engaged audience participation also. Location is near Myeongdong. The theatre is a small one so not very crowded. Very good show ! Entertaining, hilarious and not boring at all ! The show engaged audience participation also. Location is near Myeongdong. The theatre is a small one so not very crowded.